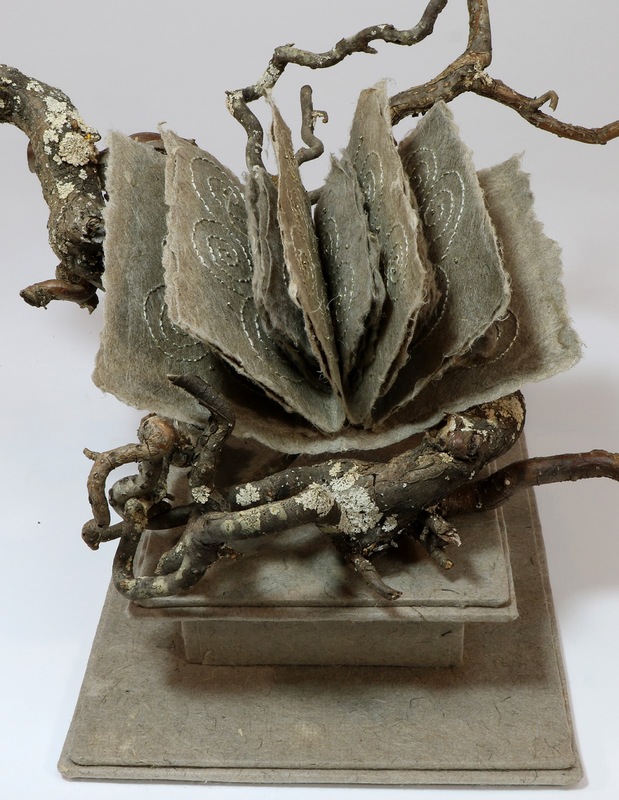 When I went to the Brush Art Gallery and Studios in Lowell last spring to set up a mini exhibit of the Spirit Books, Gay Tracy, one of the studio artists at the time, took me into her studio and offered me a pile of twisted branches from Harry Lauder's Walking Stick. They were grayed and lichened and beautiful. Of course I said yes. I've always been fascinated by the plant, Corylus avellana 'Contorta', also known as corkscrew hazel or contorted filbert but never found a place for one in the garden. I arranged some of the branches to make a cradle and my husband attached them together with carefully hidden screws. I chose two of my favorite gray papers made by Paszkowski Paper in Ukraine for the book. Spirals are my favorite pattern to stitch and they seemed especially appropriate here. Each stitch is done with two strands of gray embroidery floss and a single strand of gold metallic thread. 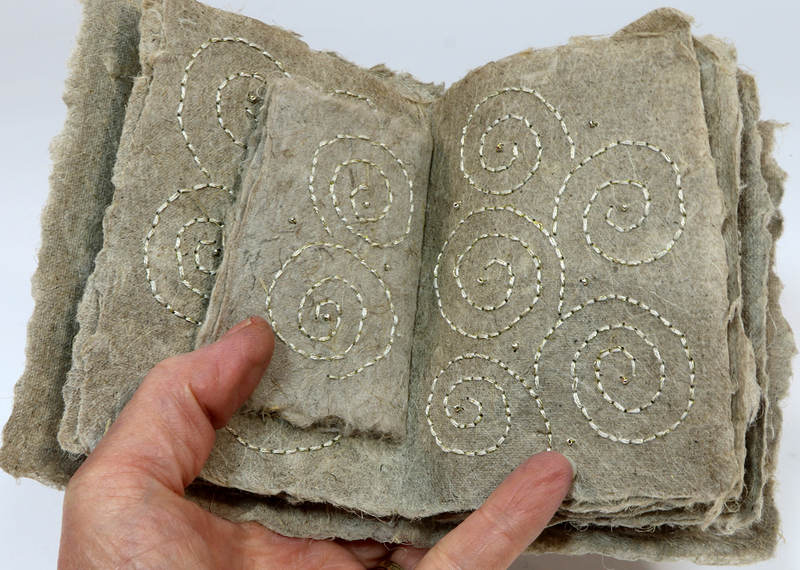 There are small silver seed beads stitched on the pages as well. This is Spirit Book #93: Winding Sanctuary.